C Section - What You Should Know About a C section Delivery? 1 What is C Section Delivery? What is C Section Delivery? C section is the commonly used term for ceasarean (cesserian) section. It means delivery of a baby through a systematic surgical c section incision in the mother’s abdomen. Normal delivery is the term used if the baby is born vaginally without any surgical intervention. C section is generally opted for, if normal delivery is not possible or in cases of emergency when there is a risk to the life of the baby or the mother. It is good to know about c section procedure step by step. It is an abdominal surgery and takes about 45 minutes. It is done under general or more commonly spinal anesthesia or spinal block. Due to the spinal block the part or the body below the waist becomes numb. However the mother is awake throughout the surgery. In case of a general anesthesia, the mother is unconscious. Before the procedure, pubic hair is shaved off. A catheter is inserted into the urinary bladder and attached to a urine bag before the cesarean surgery begins. IV fluids and antibiotics will be administered through an intravenous line. Depending on the case, the doctor decides the type of incision to be given. The skin is sterilized with an antiseptic solution and the patient is draped keeping the incision area open. These days, the commonest is the bikini incision which is a horizontal cut along the bikini line so as to minimize the aesthetic damage to the skin. After the skin, the uterus is opened and the amniotic bag is opened and the fluid is taken out by suction. After that the baby is delivered followed by the delivery of the placenta and the umbilical cord is cut. From here on the baby becomes a separate entity. The uterus, layers of the abdomen and finally the skin are sutured and a waterproof bandage is applied on the wound. You could watch a C section video to get a better idea of how things would look like when you deliver. Previous caesarean section: A c section is performed if there exists a small gap (less than two years) between the two pregnancies. If such repeat c section cases are allowed to progress for normal delivery, the intensity of the uterine contractions during labor can cause rupture of the uterus. History of previous uterine or abdominal surgery: This is mainly because the muscles of the abdominal wall are still weak. Breech presentation: The position of the baby is such that the bottoms are down and the head is towards the abdomen. Due to this, the delivery of the baby vaginally becomes challenging and c section is suggested. 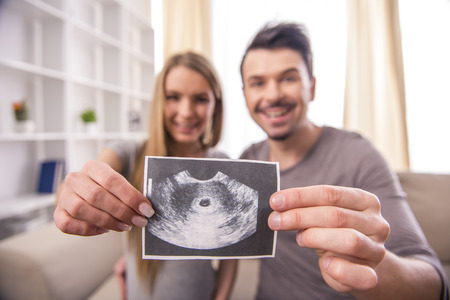 Placenta praevia – It is a medical condition where the placenta instead of being located at the fundus of the uterus is present near or covering the cervix. HIV positive cases with a very high viral load. Structural malformations in the baby where vaginal delivery can cause a risk to the baby. Medical conditions or complications of pregnancy call for emergency intervention because continuing the pregnancy could be harmful to the mother or the baby. The following are some of the cases where emergency cesarean may be indicated. Difficult or prolonged labor where the cervix does not dilate normally causing an obstruction in the normal process. Loop of umbilical cord around the baby’s neck which may cause suffocation to the baby. This is judged by measuring the fetal heart rate with the help of a fetal Doppler every 10-15 minutes during the labor. Any change in the fetal heart rate suggestive of fetal distress. 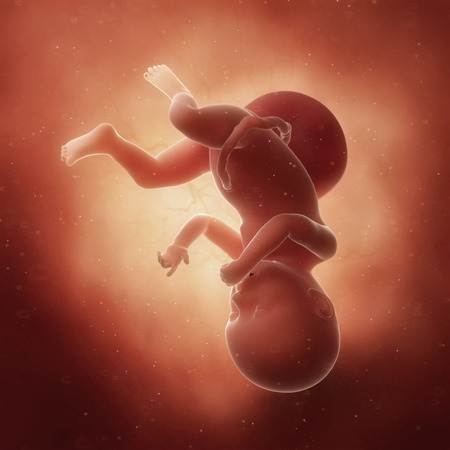 Placental abruption – A condition where the placenta begins to separate from the uterine wall prematurely due to which the baby does not get enough oxygen. Prolapse of the umbilical cord through the mother’s cervix. After the surgery, you will be shifted to a recovery room. The IV line and the catheter will be kept till the next day to administer IV antibiotics and to monitor the urine output respectively. The stitches on the skin will be either in the form of staples or self dissolving. The non dissolving stitches will be removed after a week. The stitches in the uterus take much longer to heal. Due to this, you are advised to refrain from picking up heavy weight for the first two months at least. The C section scar gradually heals and by the end of three months can be seen as a curved line in the bikini area of the lower abdomen. For a complete and healthy c section recovery, make sure you take ample rest and do not exert pressure on your stitches. Also, keep a check on your stitches to avoid c section infection and remember to visit your doctor in case you experience the symptoms of an infection.